It’s week 3 of the Washcloth KAL/CAL! How are yours coming along? I finished the washcloth above at the end of last week, and am weaving in the ends on another. The washcloth featured here is actually being put to good use today. I’m using it as a warm compress on my left eye. I think I have pink eye. Bleh. The warm water on the cloth on my eye feels good, and is much better than using a paper towel which would be my next option if I didn’t have the washcloth. I’m glad I do. How are yours coming along? Anyone out there knitting along with me? I would love to see your work. Let me know in the comments, or put post on the Facebook page. Let’s move on to something else for the time being. Recently, The Wrap, UP Lancaster! Project started a blog over at wrapuplancaster.org! To celebrate and to raise some funds, we are having a fundraiser/giveaway. Get all the cool details here on how to enter! And….see our fabulous prizes you could win here and here! 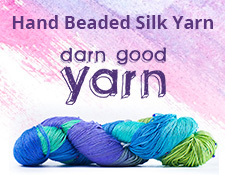 Some of them are good only for the local Lancaster, PA area, but there are some great things that could be shipped just about anywhere, like yarn, t-shirts, and tote bags. Enter! Also, WUL founder, Angelia Reed, is being honored as the Emerald Foundation’s Hometown Hero tonight at this evening’s Lancaster Barnstormers game. She is throwing out the first pitch! Go, Angelia! Check back here early next week for the details on how WUL’s big night at the ballgame went. Woo hoo! Go, ‘Stormers! I got one washcloth done for week two of the Washcloth KAL/CAL. I am working on another one during my work breaks. Washcloths are turning out to be a nice, steady project that I can get a lot done in a few minutes, and therefore are perfect for quick knitting! I donated this particular cloth, along with the others I’ve made so far, to The Wrap Up, Lancaster Project‘s Things to Sell Bin that is taken to different craft shows, such as the past one at the Millersville Community Church’s Family Fun Day this past Saturday on June 11, 2016. Unfortunately, we didn’t sell anything, but we got the word out, and some volunteers! Spreading the world about WUL is important, too. Below is a shot of our lovely tables at the event. We now have a shiny new blog over at https://wrapuplancaster.org! There’s not much on it, but we’re working on getting more content up every day. Besides that, we have now have a mailing list, where you can sign up to be informed about events, where the scarf bombings will be, and other non-spammy information. Even if you aren’t in the area, I encourage you to sign up! And, lastly, and probably the most important item, is we need funds. We are in desperate need of storage space and an office. Please head over to the GoFundMe page to donate! So, that’s the news your can use for today in my knitting world. I’d love to hear about how your washcloths are coming along! Angelia Reed, founder of The Wrap Up, Lancaster (WUL) Project, is being honored by The Emerald Foundation at the June 24th game of the Lancaster Barnstormers, Lancaster’s baseball team, by throwing the first pitch of the game. She is receiving the Hometown Hero Award, as well! Congratulations, Angelia! As a “thank you” to all the volunteers for the project, we are getting free tickets to the game! How cool is that? I’m so glad that WUL is being noticed by the community. We don’t do it for the attention, but the publicity is good, and it will bring in new volunteers and donations as more people learn about it. Go, Angelia, and go, ‘Stormers! UFO-Unfinished Object for those not accustomed to knitting lingo. I am using some of the yarn that I got from the WUL stash dive is being turned into Norwegian knitter turvid’s One Row Lace Scarf Pattern, which is free over on her blog, which hasn’t been updated in a long time. Still, the pattern is available. Check it out here! The yarn I’m using is definitely wool, and I love the bluish-purple-y heather color it’s got going on. Quite pretty! The nice thing about turvid’s lace pattern is that it pretty much can be done on with any yarn on any needles. I like patterns like that! I’m pretty sure the yarn I’m using now is worsted weight, while my needles are US 10 1/2 (trivia….my favorite needle size!). The scarf seems to be coming along fine and pretty fast, due to the large needle size. I just cast on on my 15 minute break this morning, and I knit a row or two over lunch. I can’t wait to see what this scarf will look like when its blocked. That lace pattern should really open up! So, that’s the UFO I’m working on at work/portable places project. Cheers, rock stars!